Back at WWDC 2017 in June, Apple teased us with the iMac Pro, its most powerful desktop yet. But for months, there was barely a peep about when it might available. Now we know it’s definitely going to be available before the end of the year (unlike the HomePod), when it goes on sale later this week on Thursday, December 14th. 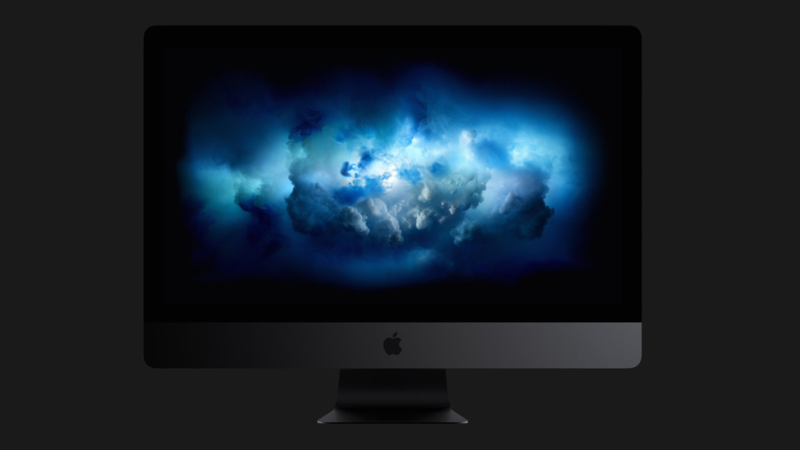 However, you better have some money saved up because starting at $5,000, this thing won’t be cheap—and that’s before you consider that the iMac Pro can be configured with up to an 18-core Intel Xeon processor, 128GB of error-checking RAM, and 4TB of SSD storage, all crammed into a big 27-inch Retina 5K display. At least for all that money, the iMac Pro will come bundled with a matching space gray Magic Keyboard (with numpad), Magic Mouse 2, and a Magic Trackpad 2. The iMac Pro also has a well-rounded selection of ports, including four USB 3.0 Type-A ports, four USB-C ports with Thunderbolt 3, Ethernet, 3.5mm audio, and an SDXC card reader—though the position of the last two on the backside of the display may make them a bit tricky to reach. Additional specs include a 1080-p front-facing camera, quad microphones, Bluetooth 4.2 and built-in 802.11ac Wi-Fi. [Update 12:00 PM] According to Marques Brownlee, who posted a hands-on video with the new iMac Pro earlier today, only the 8 and 10 core models will be available to order later this week. He then added that the high-end 14 and 18-core models probably won’t go on sale until sometime in early 2018.